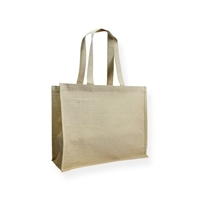 Jute is a completely biodegradable and 100% compostable material sourced from a long, soft, shiny vegetable fiber. This is then spun into coarse strong threads. Jute is mainly found in warm and humid areas, such as India. Jute is one of the cheapest natural fibers currently available on the market much like cotton. 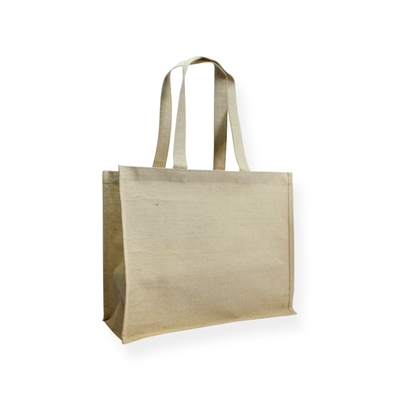 Our jute bags are available in 3 standard sizes. 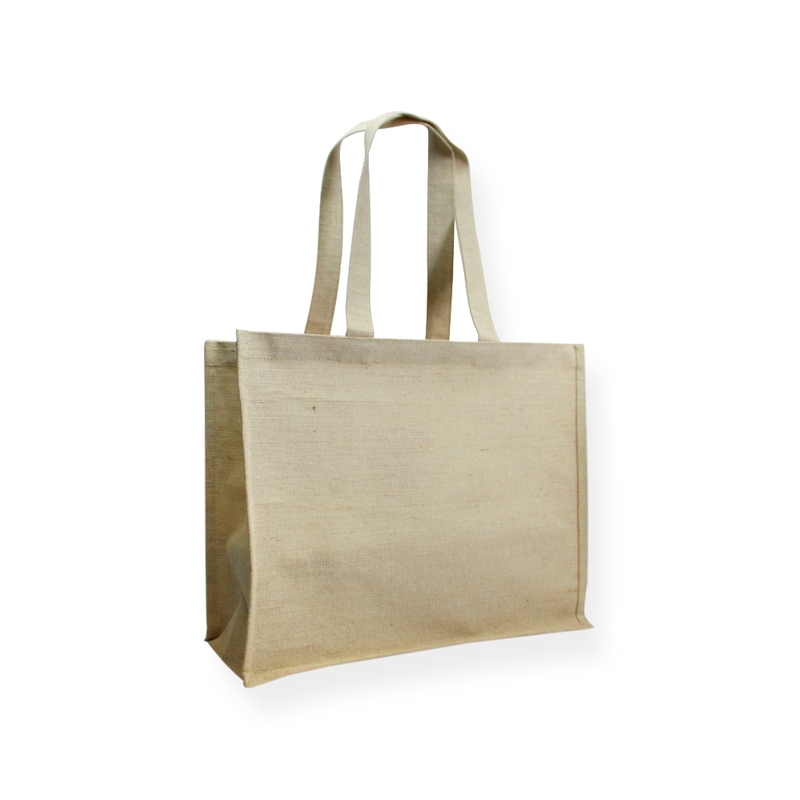 These jute bags come with strong handles and a rugged look. With the addition of the optional laminate on the inside of the bag these bags are watertight and the service life further increased. All our Jute products are produced in India where out employees have good clean working conditions. There is no use of child labor and our factories withhold all relevant certificates. Cant find what you are looking for? We can produce to almost any size and design from around 6,000 pieces. Benefits of Jute: Strong, durable, environmentally friendly and 100% compostable!